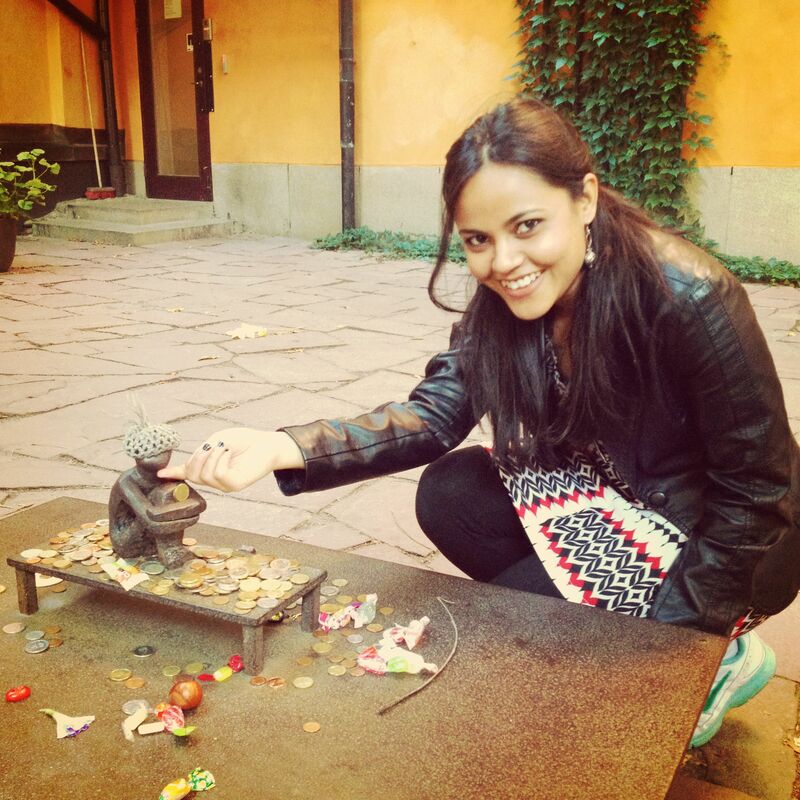 Have you chanced upon Jarnpojken on a tour around Gamla Stan, the old town in Stockholm? Jarnpojken, the Iron Boy, is a tiny iron figure of a boy sitting down, hugging his knees close. 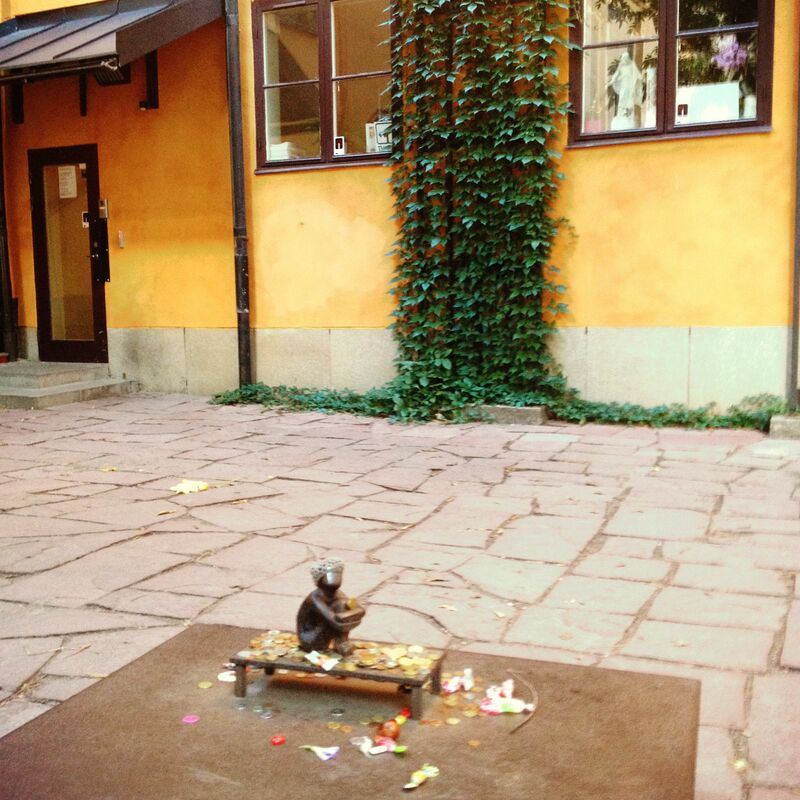 He sits in the yard behind the Finnish Church in Gamla Stan. Like most kids, he is extremely cute, although a very quiet one. 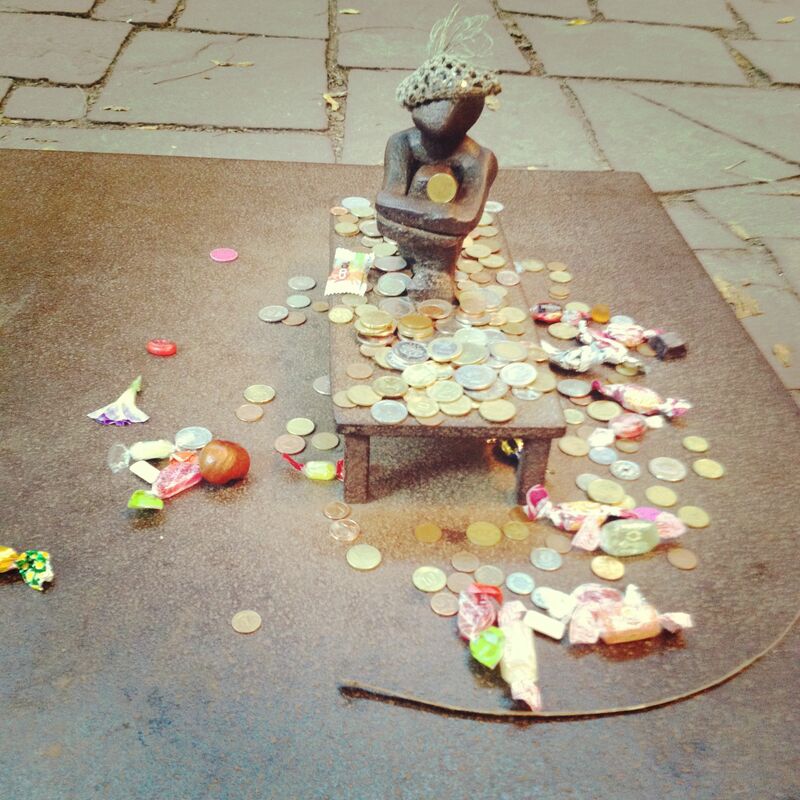 He might be a little lonely, sitting there all by himself, looking up at the moon, but visitors & tourists always make him feel special by bringing him presents of coins, candy, flowers and sometimes even hand-knit beanies to keep him safe from the cold! Find your way to the Finnish Church by following this link on Google Maps. Although an obscure point to place a piece of art, it’s one of those offbeat spots that will definitely make you smile. Wonderful that someone gave him a winter hat! 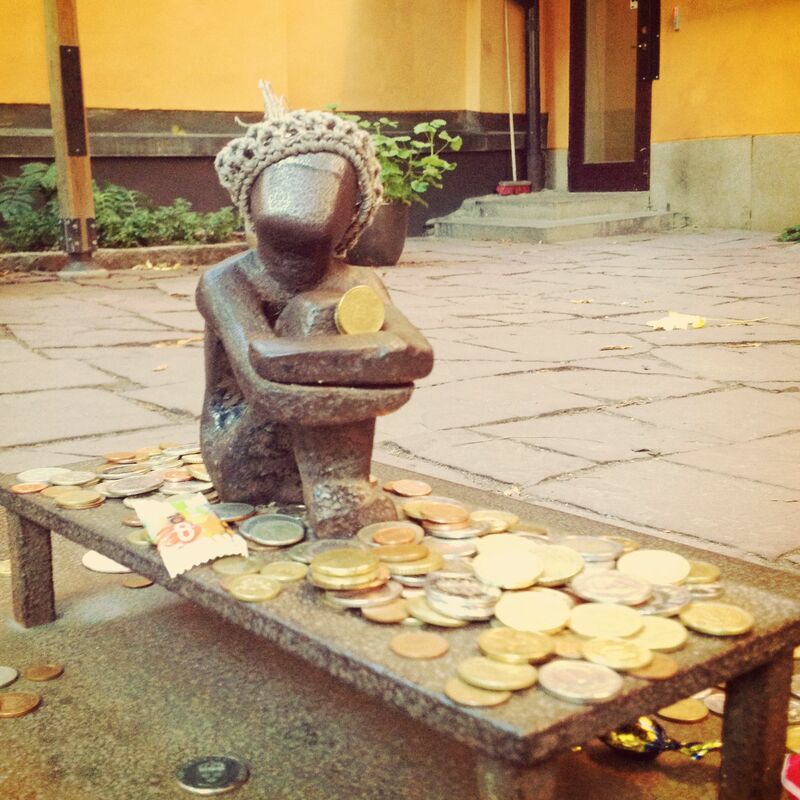 I have to go and find him next time I’m in Gamla Stan! Thanks for sharing, I didn’t know about him. Isn’t that a wonderful idea 🙂 If you do this, then please do blog about it, cos I would surely love to know about it. That gives you a good enough reason to visit! I’m sorry we missed this little fella.